WSZYSTKIE ELEMENTY POCHODZĄ OD JEDNEGO PRODUCENTA CO GWARANTUJE POWTARZALNOŚĆ WZORU RUSZTOWANIA, PO KILKU LATACH TAK SAMO BĘDĄ WYGLĄDAĆ W PRZECIWIEŃSTWIE DO ZBIERANINY OD KILKU PRODUCENTÓW NAJTAŃSZYCH ELEMENTÓW. On Mascus UK you can find [Other] SYSTEM 700 scaffolding equipment. The price of this [Other] SYSTEM 700 is £1,232 and it was produced in 2018. This machine is located in Wrocław Poland. 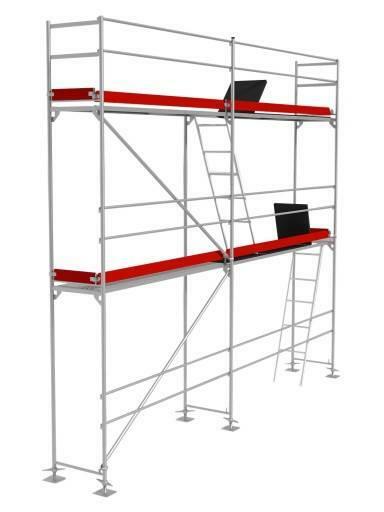 On Mascus UK you can find [Other] SYSTEM 700 and much more other models of scaffolding equipment.